Croft Apiaries use Danish queens which are bred on the island of Avernakø, by a bee keeper who has become a good friend of ours. These bees are the result of many years hard work and have produced excellent results for us. He has been a beekeeper since 1984 having started to breed Queens as a hobby in 1998 and is always trying to improve his stock. In 2003 his Queen breeding was widened and he started breeding his Queens in the manner of Brother Adams principles. In 2007 he took over the breeding material after Hans Røg in Ringkøbing, when he retired. 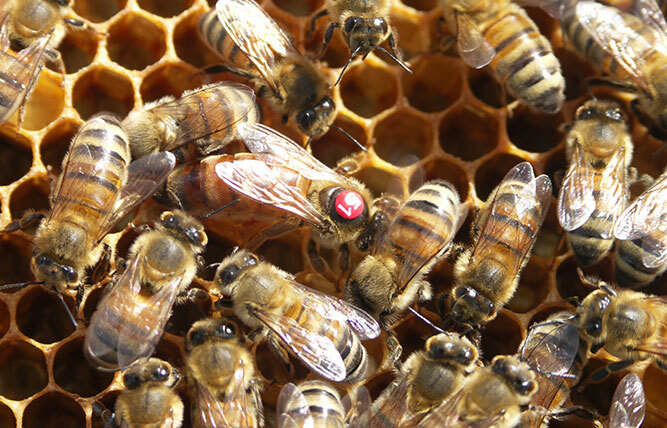 The breeder Queens are evaluated for minimal swarm tendency, temper, frame firmness (comb building) and honey yield. He breeds only from Queens who can purify 100% by the removal of 200 freeze-killed new sealed cells, and only breeds on colonies free from Nosema. 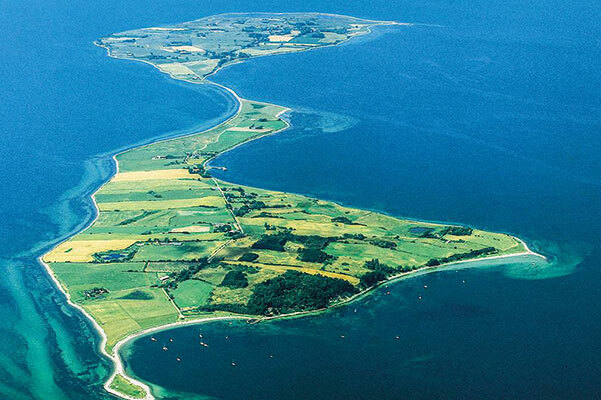 All his Queens are island mated on his own approved breeding island of Avernakø, after 2 years test and selection. He uses the best of a series of 30 for further breeding and breeding of production Queens. SP 301: A typical Buckfast line giving very similar colonies and is easy to work with. Very little propolis use and nearly no frame building between frames. SP 289: A direct descendant from Buckfast Abbey 1983 B213 mate on Atos with T301. A good production bee. SP 348: Descendant of Queens imported from Macedonia (Cecropie) in 2001. It has now 4 Buckfast breeding and provides smooth production colonies. This year he will be using an old Buckfast line for his drone hives on the Island of Avernakø, where all his Queen rearing is carried out. We will be able to supply a limited amount of Danish Queens later in the year but only if pre-ordered. Please email us and we will get back to you to discuss further. From our own experience we can assure you that you won’t be disappointed as they seem well suited to our climate and our way of beekeeping in the UK. We reQueen later in the season and find that we benefit the following spring.